This is the walk-through for demo #3 from my Microsoft Master webcast on App-V 5.0 scripting. For the full webcast information, visit https://t3chn1ck.wordpress.com/2014/02/03/playback-of-microsoft-master-app-v-5-0/. This demo is on scripting for a process to run when a user launches the application. I’m using the game of Sudoku (obtained from SourceForge) and when it is launched by the user, it opens a text file on the “rules” of the game. 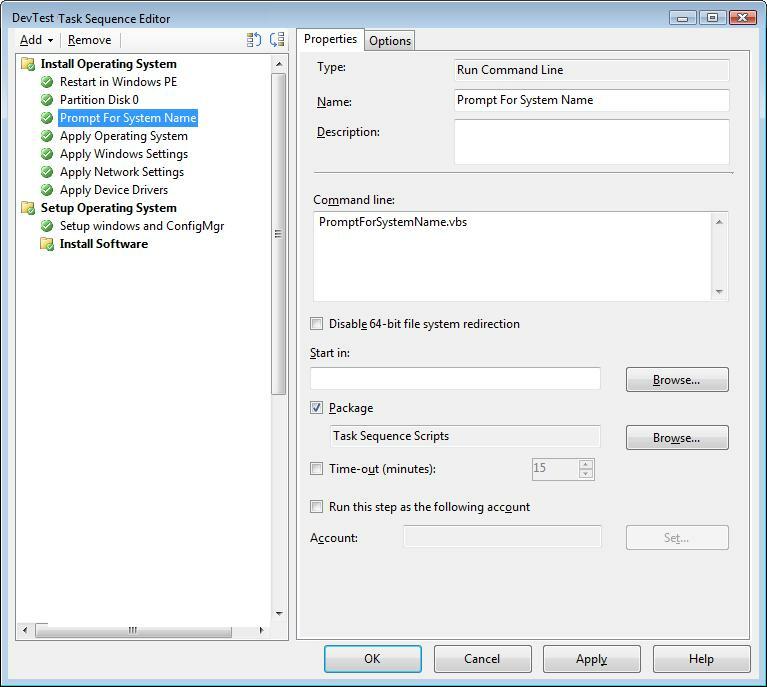 For this example, I am using the standalone App-V infrastructure, not ConfigMgr 2012 R2. The package has already been sequenced. It’s just a simple set of files (and the main .exe) that I copied into the Program Files directory. After sequencing, I added the PowerShell script to perform the operation. The PowerShell script will obtain it’s current working directory and then execute the text file specified. In the UserConfig.xml we define that whenever Sudoku.exe is launched, then App-V will execute powershell.exe with the command line to run our .ps1 script. Now add the package into the App-V console and assign to a user group as per standard process. Then follow my guideline on how to activate the custom UserConfig scripts. Finally, with the test user, update the App-V client so that Sudoku becomes available. Once Sudoku is launched, the PowerShell script will very quickly execute (so fast that I cannot capture a screen shot). But we will have the text file open with rules for learning how to play the game! Furthermore, the App-V operational events show execution of the script. This entry was posted in App-V 5.0 and tagged PowerShell.